I thought I would write on my Great Grandfather’s brother in anticipation of his birthday, he would be 125 this year. Growing up, I never knew of Uncle John Nelson Jonas likely because nobody in my family ever knew him. He passed away at the ripe age of 30 in 1918, a victim of Influenza. The family knew of his widow as she lived on Main Street in Richmond, Cache, Utah and associated with their children. Since I have some pictures of his family, I thought I would make them available. My Great Grandfather Joseph Nelson Jonas did not live to be much older and so personal memories of him were lost many decades ago as well. John Nelson Jonas was the fourth of seven children born in the marriage of Annetta Josephine Nelson and Joseph Jonas 14 August 1888 in or near Ellensburg, Kittitas, Washington. He was christened 10 September 1888 at St. Andrews in Ellensburg. About 1896, John’s mother, Annie, went to the Eastern Washington Hospital for the Insane in Fancher, Spokane, Washington (she is listed as Ann J Jonas). She was in and out of hospitals throughout her life but as John was one of the older children, he would have known his mother a little better. Annie got out of the Eastern Washington Hospital 31 October 1899 and went home to Ellensburg and continued to be a handful for the family. The family on the 1900 Census was in Cle Elum, Kittitias, Washington. Although that census does not include Annie and the census that year has Joseph Sr in both Cle Elum and Spokane about two weeks apart in June 1900. Annie must have been back in Fancher. Annie’s sister, Charlotte, visited in 1901. 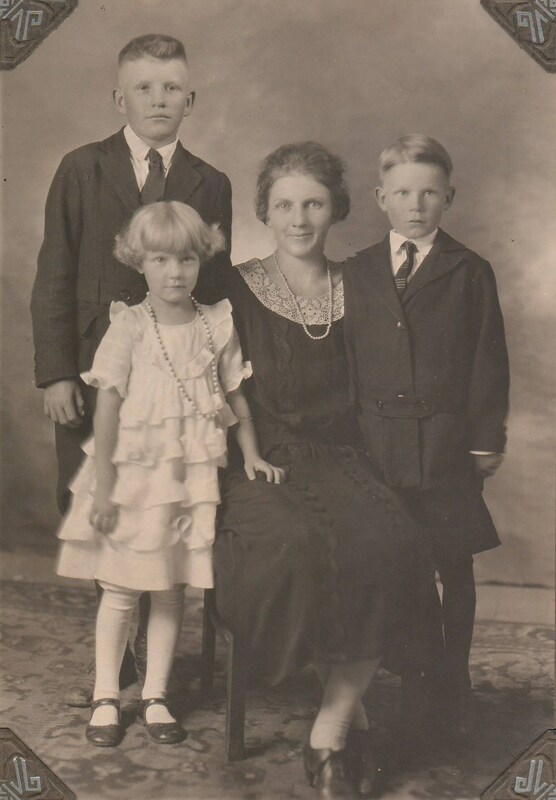 Due to Annie’s mental and emotional state, and with Joseph’s approval, the Jonas family went to Utah to stay temporarily with Annie’s brother, Nels August Nelson. Uncle August lived in Crescent, Salt Lake, Utah and the Jonas party arrived 3 July 1901 from Washington. Joseph for one reason or another went back to Washington with the oldest child Margaret. Nels suggested it was legal issues; it might have just been the farm that needed attention. Annie’s issues were such that Nels and his wife, Fidelia, signed an affidavit of insanity and had her admitted to the Utah State Hospital 1 November 1901. Joseph had been raised as a Catholic and Annie Nelson had been raised LDS. Annie decided she did not like LDS men and wanted to marry a Gentile and did so. The children were raised Catholic in Washington. Now in Utah, Uncle August made sure the children learned about the LDS faith. 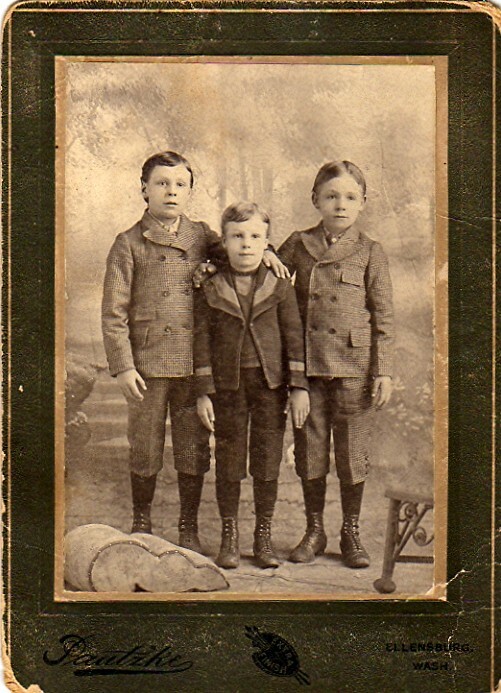 The three boys, John, William, and Joseph, elected to be baptized LDS on 10 January 1902 in Crescent by their Uncle August in an ice-covered Jordan River. All three were confirmed 12 January 1902 by Jaime P Jensen. Rosa joined 6 February 1902, also in Crescent under the hand of Uncle August in a hole chipped in the Jordan River. Margaret did not join as she stayed near her father in Washington. In 1904, Rosa married a boy, Christian Andersen, from Richmond. They married in Salt Lake City, Salt Lake, Utah. They moved to 137 E 100 S in Richmond. John and his brothers resided with Uncle August until after their mother passed in 1907, then they would regularly and for prolonged periods stay with Rosa in Richmond. William and John were both ordained Elders 6 January 1908 in Crescent. In Richmond, both were again ordained Seventies 19 September 1909 by Charles Hart (1866 – 1934, 1st Council of Seventy). John was endowed in the Logan LDS Temple 1 October 1909 and left to serve in the Southern States Mission. He left 10 October 1909, arrived at Chattanooga, Hamilton, Tennessee 18 Oct, Montgomery, Montgomery, Alabama 21 Oct, and formally starting 25 October 1909. The 1910 Census lists John at home in Crescent. I understand John attended Brigham Young College in Logan but I don’t know any of the details of when or if he graduated. Nellie told her nephew, Ellis Jonas, that John was the only one of the brothers who could keep a level head. Just remember the source of that compliment – his wife. John met Nellie Armina Andersen, a cousin of Rosa’s husband Christian, while staying in Richmond. Nellie and John fell in love and were married 5 June 1912 in the Logan, Cache, Utah at the LDS Temple. The above photo indicates it was taken in Salt Lake City at Cusworth’s Studio. We don’t know the occasion, but it must have been something to dress up for, or just a sitting for a portrait. Either way, the photo was shared with my Great Grandmother. John and Nellie had three children. Calvin Andersen Jonas born 6 August 1913 and died 17 June 1991 both in Richmond. He married Viola Florence Chapman (1921 – 2006) on 30 March 1957 in Elko, Elko, Nevada. Calvin lived in his mother’s home until he passed away and then Viola remained in the same home until her passing. It was Calvin who took the land and created a trailer park on the rest of the property to the welcome or chagrin of Richmond. Calvin and Viola did not have any children, although Viola brought children to the marriage from her previous marriage. I last visited Viola about 2005 and Viola had her daughter Dixie living with her to take care of her, the trailer park, and their ceramic store. 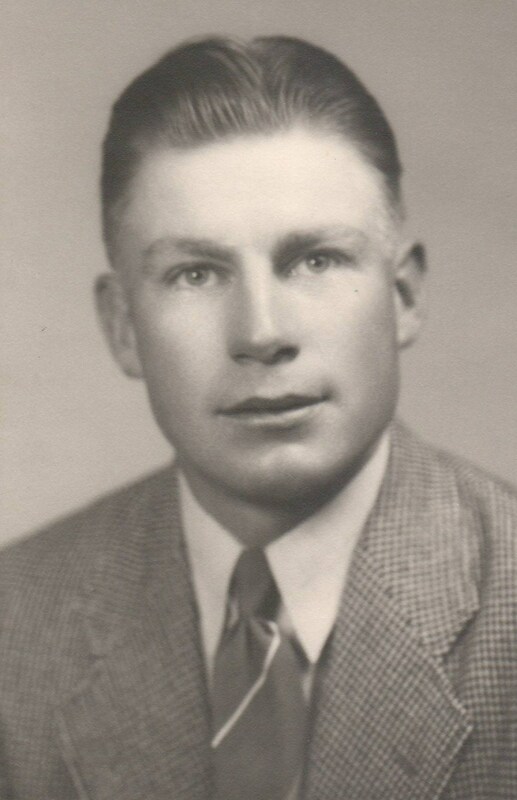 Melvin Andersen Jonas born 13 March 1917 in Richmond and drowned 16 Jul 1944 in San Marcos, Hays, Texas while he was in training at San Marcos Army Air Field. Apparently he had just married Doris Everts on 17 March 1944 somewhere in Texas. It is not believed they had any children. Melvin was a lieutenant in the Army. John and Nellie purchased a home 3 April 1917 on the corner of Main and 200 E in Richmond (now 195 E Main). The entire lot one, block 25 of Richmond City came with the home for $1,200.00. They moved in when Melvin was only a few days old. When John registered for the World War I Draft, he indicated he was a laborer at Utah Condensed Milk Company in Richmond. I have included a copy of the full Draft Registration. It is interesting to note John’s signature on the first page. Nellie became pregnant and while with their third children tragedy struck. John caught the spreading Influenza virus in the epidemic of 1918 and passed away shortly before Christmas on 19 December 1918 at home in Richmond. Nellie gave birth to their last child months later. Armina Andersen Jonas was born 5 March 1919 in Richmond and died 30 March 2011 in St. George, Washington, Utah. She married Don Farnes (1916 – 1978) 10 March 1937 in Logan. Don was gone by the time I was born, but I remember stopping to visit Armina at her home in Kimberly, Twin Falls, Idaho with my Grandma in the late 1980’s. I stopped the last time in Kimberly about 2008 shortly before she moved to live with her daughter in Southern Utah. Nellie remarried to Arnold Thornley (1893 – 1969) on 14 April 1926 in Logan. It must not have been a very long marriage as very few seemed to remember him. Nellie continued to live in their home until she passed away 11 December 1953 in Salt Lake City of myocarditis. Her obituary stated, “Nellie A. Jonas – Richmond, Cache County – Mrs. Nellie Andersen Jonas, 64, died Friday night in a Salt Lake hospital after an operation. Born July 26, 1889 at Richmond, daughter of George and Armina Carson Andersen. Resident in Richmond entire life. 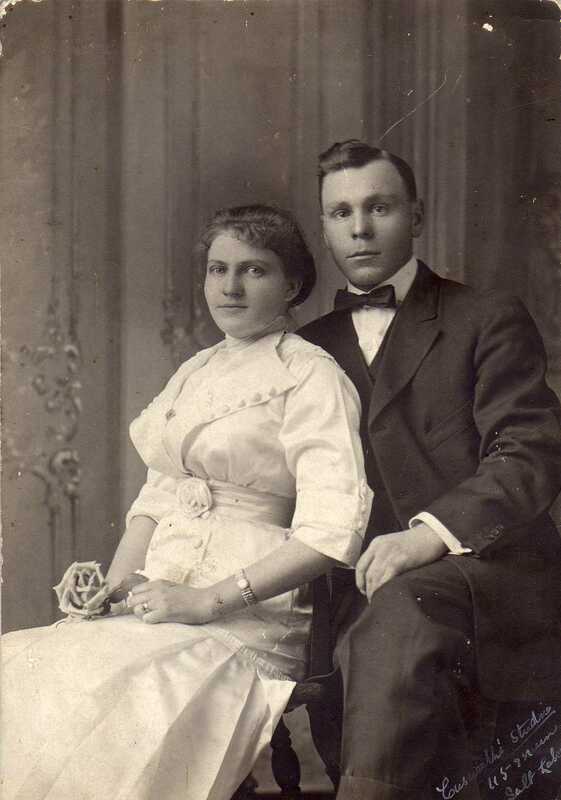 Married to John N. Jonas in 1912, in Logan L.D.S. Temple. He died in 1918. Active in L.D.S. Church…” I need to get a copy of the full obituary to share it. John and Nellie are buried together in the Richmond Cemetery. All three children are buried within a stone’s throw. John’s father and Nellie’s parents are also a stone’s throw away.